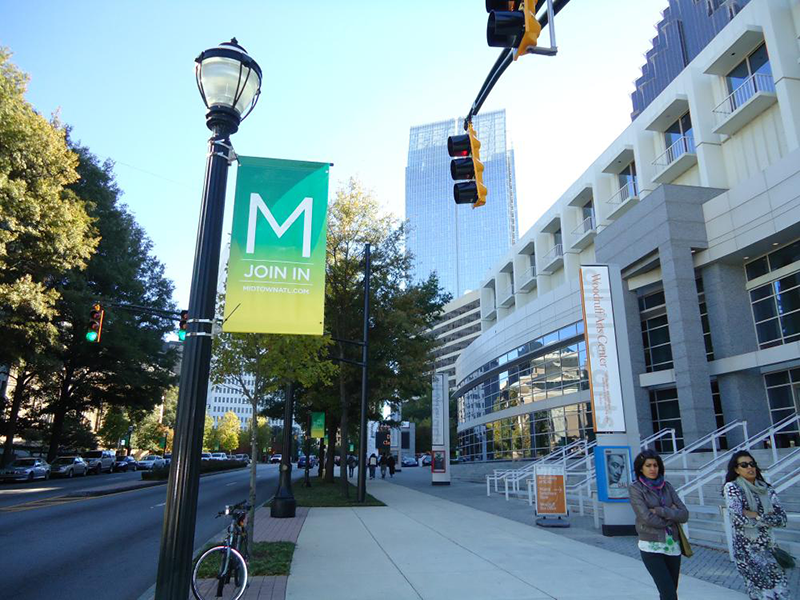 Marketing to the population of Atlanta can yield huge dividends, as the region has more than 5.7 million residents. When you’re dealing with one of the top 10 biggest populations in the country, you need advertising mediums that succinctly but boldly display your branding. 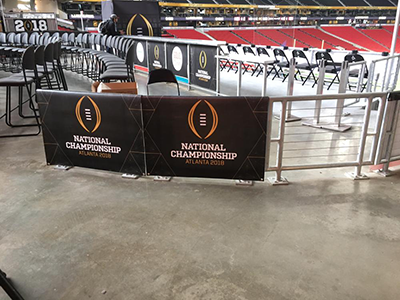 Customized banners not only offer these advantages, but they do so in a cost-efficient manner that beats out other tools. SpeedPro Imaging of Greater Atlanta will aim to produce final products that fulfill your needs in a way that’s unmatched by our competitors. We offer services to businesses throughout Fulton, Dekalb, Gwinnett and Cobb counties, so don’t hesitate to get in touch with us. How Can Business Banners Promote Your Brand? No matter how digitized the world becomes, physical signage will always hold its place in the marketing world. Banners are one of the oldest methods out there, and they’ve held their worth over the years. New technology has only served to benefit them, as our studio can create them in bulk with precision and vibrancy. 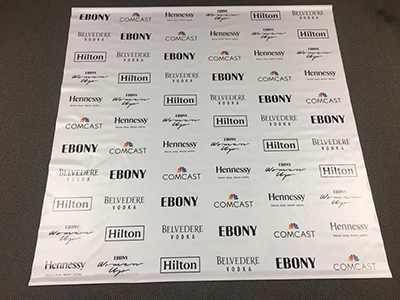 From promoting social events to advertising available goods and services, you can wield our stunning vinyl banners to your advantage. Our visual communication experts will happily consult with you, and from there, we can forge a detailed plan of action that addresses all of your concerns. We’ll help you put together the perfect marketing campaign to reach your goals. How Can You Customize Your Vinyl Banners? Banners can fit practically anywhere. From the sides of skyscrapers to street poles to mall rafters, we can create them in nearly countless different dimensions to suit the circumstances. Not only that, but our durable materials will also keep them intact for the foreseeable future. Beyond standard vinyl, you can also choose from blackout, scrim, mesh and smooth. Mesh is designed for the outdoors, as its build can allow for up to 70 percent better air flow. Finishes we offer include matte and gloss, and our mounting options include pole pockets and grommets as well as floor stands. 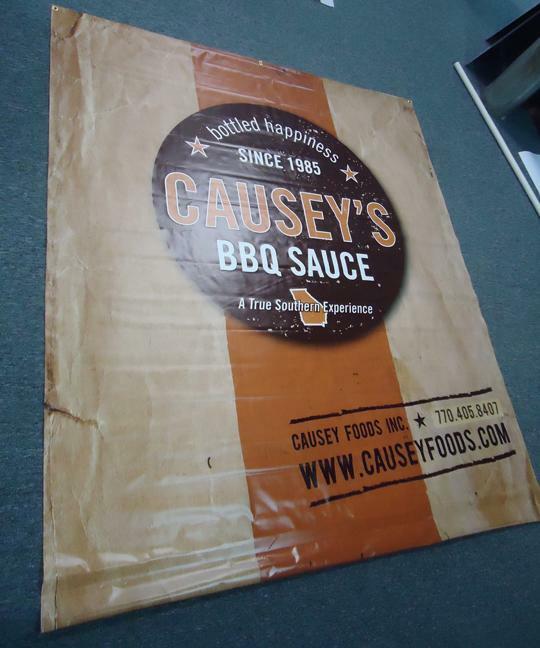 Retractable banner stands provide another dimension to banner advertising, as you can pack them up and take them on the road with you. The stands come in different makes too. We offer three stand styles, including retractable, spring-back and telescopic. We also have three models — economy, standard and premium. Get in touch with us today to schedule a consultation so that we can discuss your custom banners. You can also visit our studio, which is located on Permalume Place in Atlanta. Once you reach out to us, our team will work diligently to find the right options for you and get them ready quickly, allowing you to gain new business success as soon as possible.